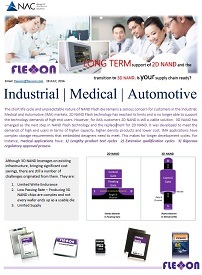 As a Flexxon distributor, NAC offers flash memory modules solutions for industrial & commercial applications. 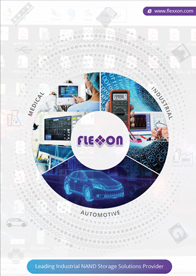 Flexxon provides specialized design-in services and worldwide supply chain solutions for Flash-based storage solutions- NAND Solution Products serving specifically the Industrial, Medical, & Automotive (IMA) sectors. By collaborating with leading world NAND Solution Technology leaders and providers, Flexxon is capable of offering leading edge Flash-based storage products with exceptional performance and outstanding reliability. When you think of memory...think of Flexxon first.